The “meaningful vote” on May’s Brexit deal will take place on December 11. There will be 5 days of debate before MPs will decide whether to back May’s deal. May faces a huge struggle to win the vote with around 90 Conservative MPs pledged to vote it down. 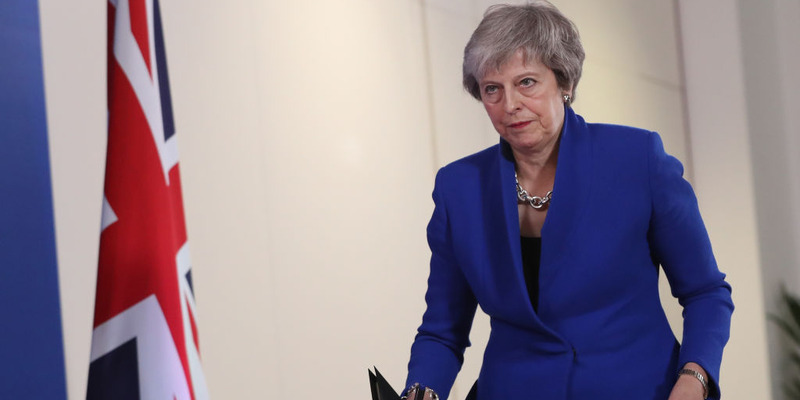 LONDON – Theresa May has just two weeks to sell her Brexit deal to parliament with the so-called “meaningful vote” on the agreement to be held in the House of Commons on December 11. In a letter leaked to Business Insider, the government’s chief whip Julian Smith wrote to Conservative MPs on Monday setting out the timetable for the Commons vote. 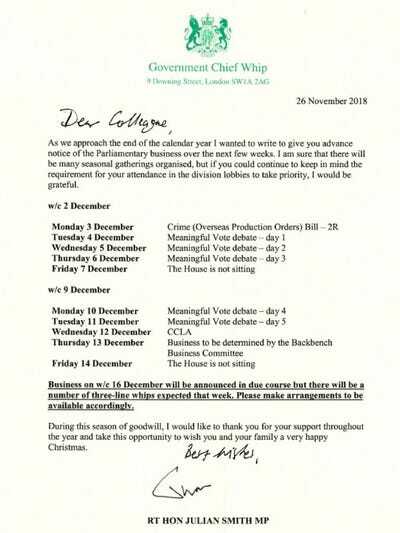 May’s government plans to hold 5 days of debate on the deal before putting it to a final vote on Tuesday December 11. Under the plans, to be set out in full this week, a motion on the deal will be put before parliament where MPs will have the opportunity to amend it before deciding whether to accept or reject the deal. However, with around 90 Conservative MPs pledged to vote down the deal, the prime minister faces a major struggle to win the vote. All opposition parties, including the Democratic Unionist Party, which props up her minority government, have also pledged to oppose the deal in the Commons. May’s Chief of Staff Gavin Barwell will on Monday evening hold a briefing with opposition MPs in a bid to win them over to her deal.